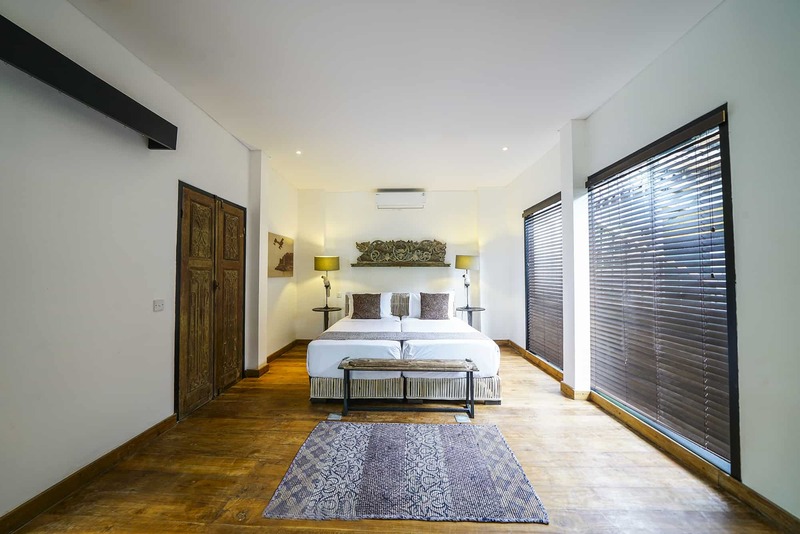 Singles beds, chefs, peaceful location in the heart of Seminyak and more! 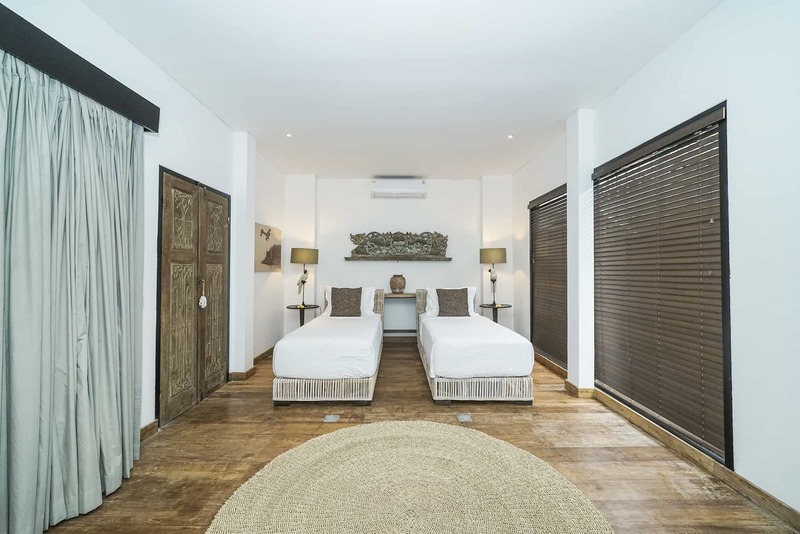 Are you planning a retreat in Seminyak and do you need your private venue to be flexible in terms bedrooms and the number of overnight guests? Abaca Villas stands for flexibility. The estate features 3 very large private villas, 16 bedrooms and a total capacity of up to 40 guests when making use of the extra beds. The bedrooms can be set up with single beds to give everyone the privacy they need. Surely, strangers or colleagues don’t want to be sharing a bed together! 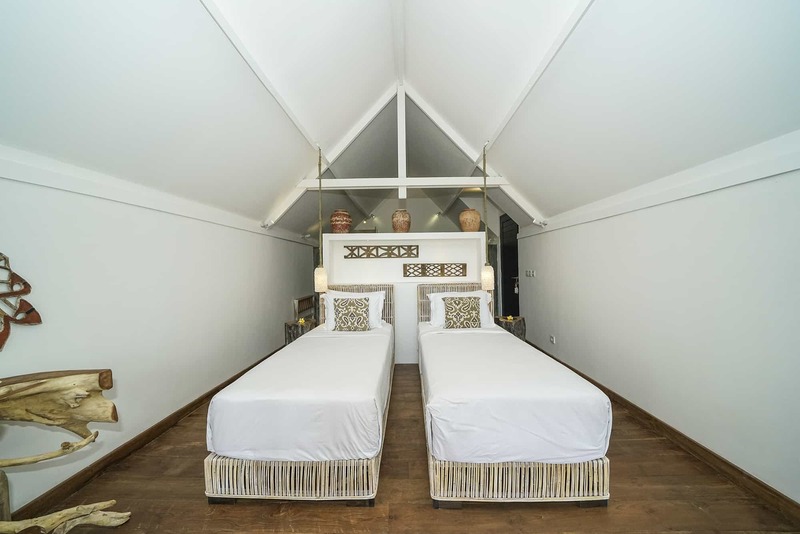 Whether you are hosting a small wellness retreat or a large corporate retreat, you can book just what you need: 5 bedrooms, 6 bedrooms, 10 or 11 bedrooms or all 16 bedrooms – it is up to you and whatever kind of retreat you are hosting. Very often, retreats require good, healthy food to nurture the body and the soul. 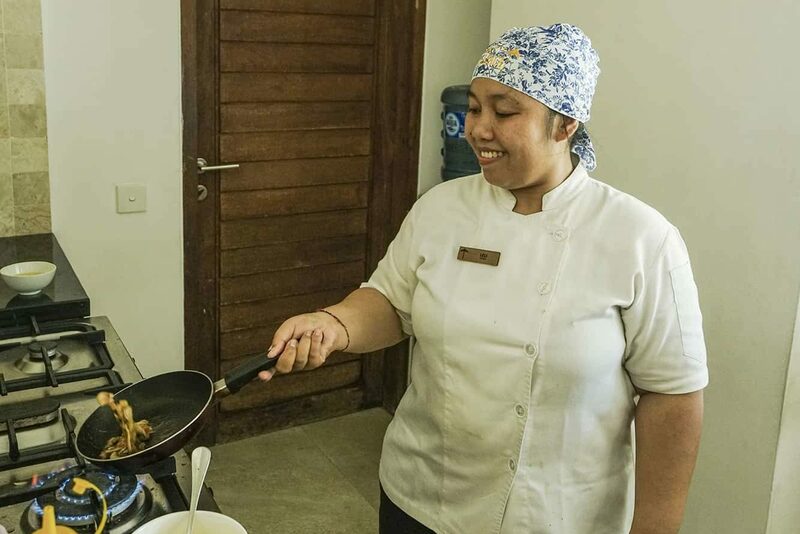 We’ve got good news: Abaca Villas has got 2 very talented and experienced chefs to cook-up delightful meals according to your personal wishes and ideas. We can provide creative menus tailored to your requirements such as vegetarian, vegan, organic, raw, etc. Talk to us about what you need! 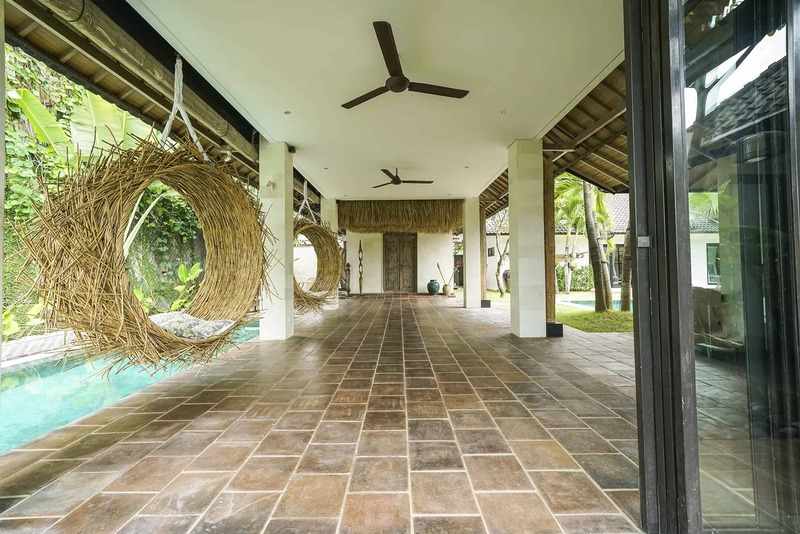 Didn’t think it as possible to find a villa with a private event space and rice paddy views in Seminyak? You were wrong! 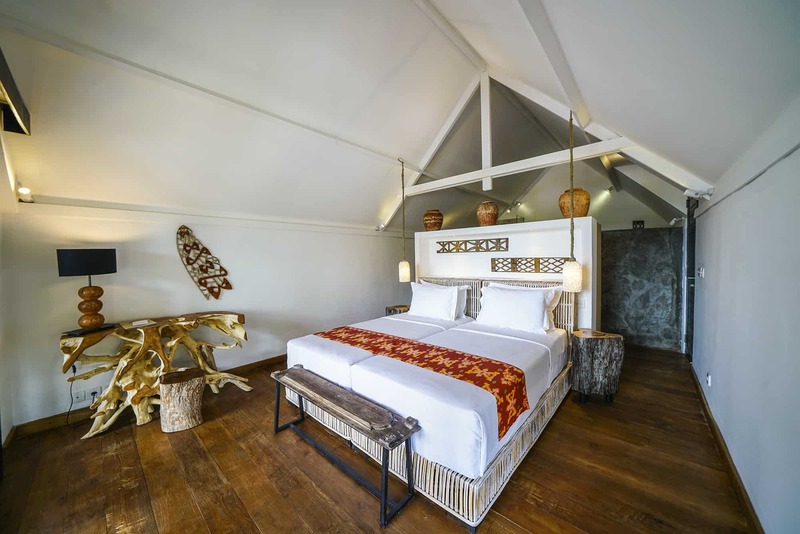 Abaca Villas features a private activity pavilion overlooking the rice paddies. The peaceful ambience and magnificent views are just perfect for yoga practices and guided meditations. Is one event space not enough? 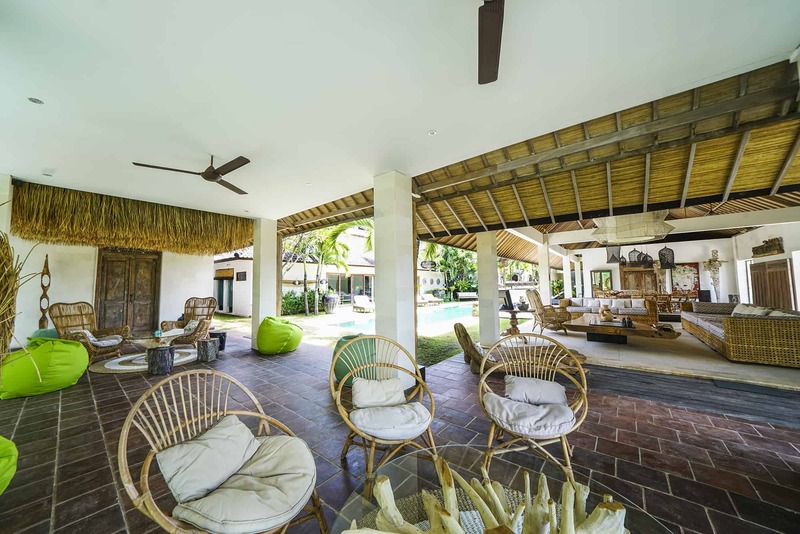 Not to worry, the large living areas at Abaca Villas (3 in total) can be set up just as you need. Furniture can be moved away to create large retreat spaces for fitness, yoga and more. Just let us know! 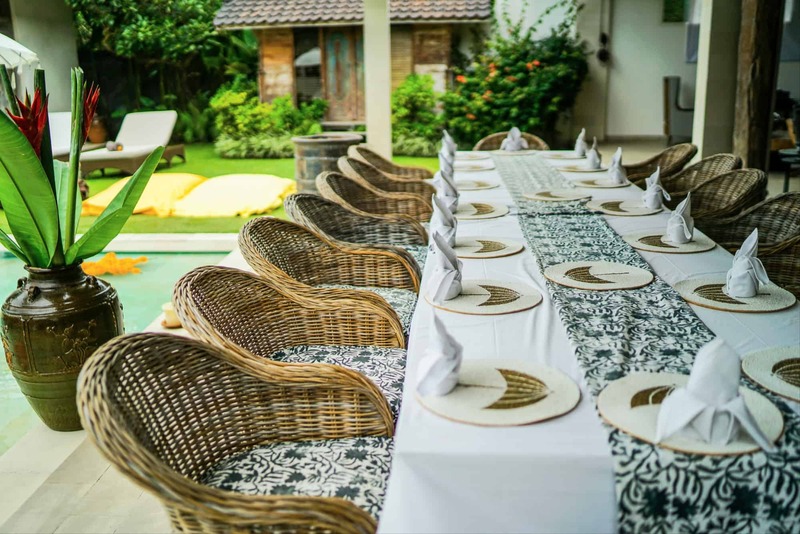 Most people think ‘Peacefulness and Seminyak’ don’t go together but these people have not been to Abaca Villas just yet! 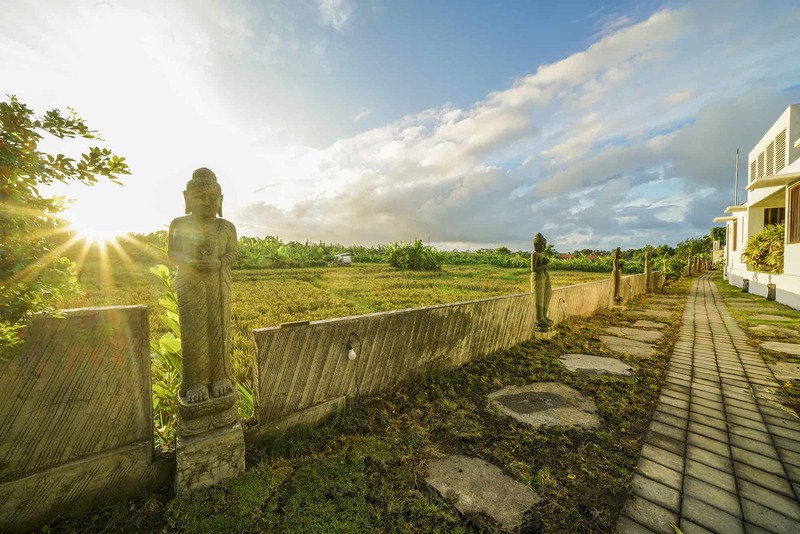 We’ve got the magic mix: rice paddy surroundings and tranquillity in the beating heart of Seminyak. 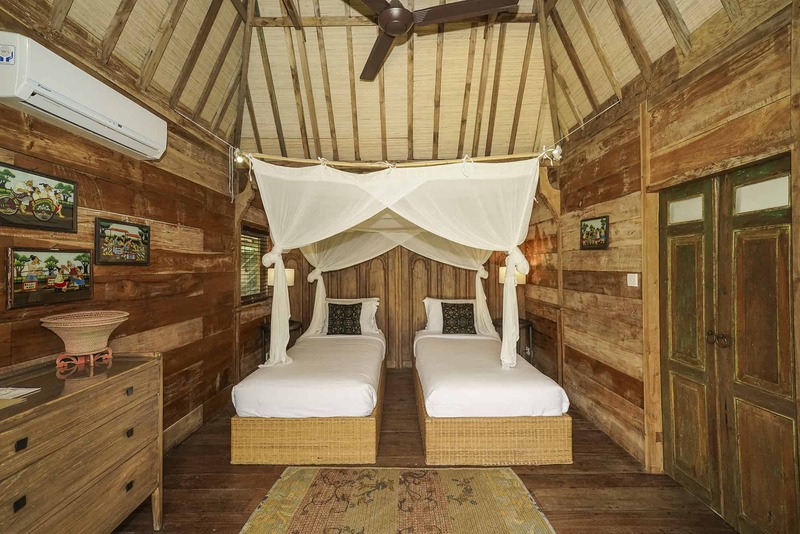 The atmosphere is very calm and secluded and a wonderful natural rice paddy breeze is felt throughout the compound. 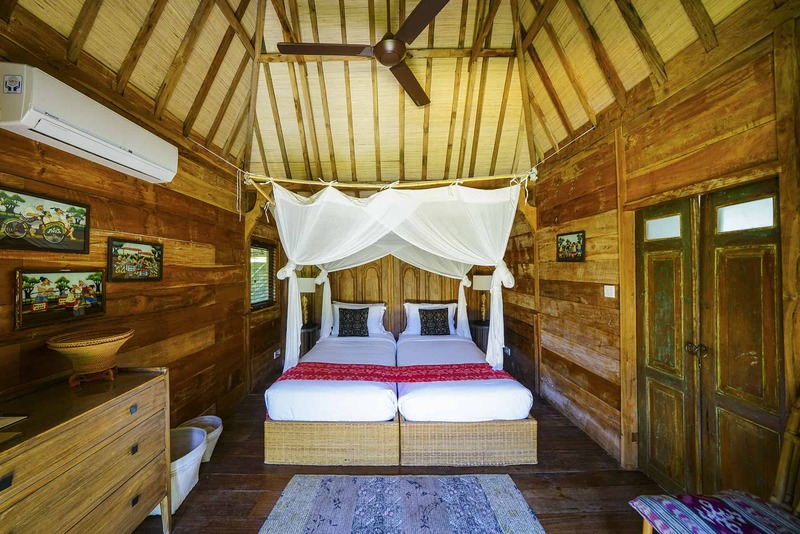 Ideal for yoga, meditation and wellness retreats, indeed! 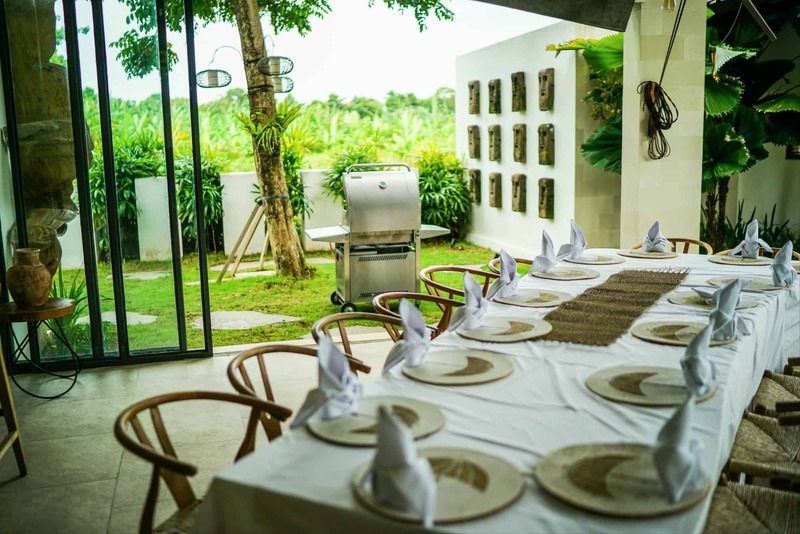 Ready to host your retreat at Abaca Villas? We will do everything in our power to accommodate your retreat(s)! From arranging the bedrooms to the food, from the amenities to the service. We’re here to make this amazing retreat of yours happen!